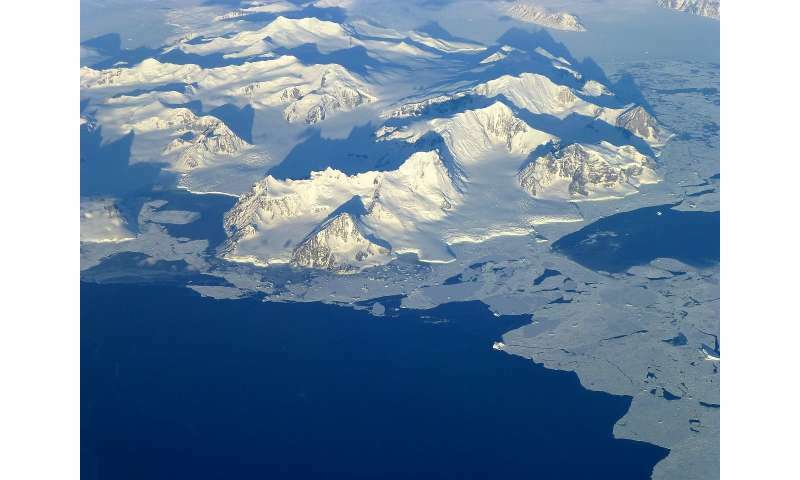 Melting ice shelves are changing the ocean's chemistry at the South Pole and the result could be a change in global currents and increased glacial melt, according to scientists who are creating maps to feed into climate change models. At the North and South Poles, cold dense water sinks, powering the so-called global ocean conveyor belt, a complex system reliant on heat transfer and density that drives ocean currents throughout the world. This system regulates regional climates but is threatened when large amounts of freshwater – such as glacial ice – fall into the sea. Ice shelf melt means that more glacial ice will be dumped into the ocean, and this risks switching off the conveyor belt, because diluted, less dense saltwater is less likely to sink. In the Antarctic, at depths between 500 and 2000 metres, a surprisingly warm salty water mass can be found, called Circumpolar Deep Water. At certain points under Antarctica, this warm water comes into contact with the underside of the ice shelves and melts the ice. If more warm salty water is reaching the bottom of the ice shelves than in previous years, this could fuel an increase in ice-shelf melt. Dr. Laura Herraiz Borreguero of the University of Southampton, UK, and coordinator of the OCEANIS project, is tracking the movements of this warm salty current, to see if there are any fluctuations or changes compared to previous years. By analysing and comparing data collected by other researchers, she has discovered that in the last 20 years, the warm salty water current has become more commonly found. The effects are even more pronounced in the inhospitable East Antarctica region, a part of the continent that is generally less well-researched than West Antarctica, as it's much more difficult to access. Because ice shelves act as speed bumps for glacial ice flow and slow down the rate at which Antarctic glaciers reach the sea, an increase in ice-shelf melt would mean that glaciers could dump vast amounts of freshwater ice into the ocean unchecked. 'If we lose (the ice shelves), the speed of the glaciers could be four to five times faster,' said Dr. Herraiz Borreguero. Ocean circulation is also being studied by Dr. Melanie Grenier of the Centre National de la Recherche Scientifique (CNRS), France, who coordinates the GCP-GEOTARCTIC project. The project is part of a multinational collaborative effort called GEOTRACES that aims to better understand global ocean circulation and marine cycles by examining the distribution of dissolved and particulate chemical elements suspended in the water column. Particle concentrations, distributions and exchanges can tell scientists a lot about what's going on in the water column. Certain water masses have distinct properties, for example being nutrient-rich, or nutrient-poor, warm, cold, salty or fresh. One of the reasons for this is a decrease in ice cover. Less ice means that more light can enter the ocean and that more life can develop, leading to an increase of marine particles. Less ice also means more interaction with the atmosphere, notably with the wind, which can increase the mixing in the ocean, and so particles lying in the sediment are re-suspended into the water column. While this is not necessarily damaging by itself, it is indicative of changes in ocean circulation and could affect the global ocean conveyor belt. However, it's not known how sensitive that system might be to change, so scientists will have to continue to monitor the situation. Both OCEANIS and GCP-GEOTARCTIC intend to create maps based on their research – for OCEANIS, detailing the points where warm water reaches Antarctic ice shelves, and for GCP-GEOTARCTIC, a map of global thorium-230 distribution, with input from other GEOTRACES scientists. These will be used to develop better-informed models to predict how the planet should react to changes in climate. The models are also being enhanced by researchers who are aligning climate records from marine sediments and ice by using fine particles of volcanic ash as a common thread. Vertical cylinders of marine sediment and ice, known as cores, are used by geologists to determine what past climates were like. As ice freezes or sediment settles, they trap air, particles and fossils that provide clues to the climate at that time. But, it can be difficult to match a particular piece of a marine sediment core to the corresponding time period of an ice core. Dr. Peter Abbott of Cardiff University, UK, and the University of Bern, Switzerland, runs a project called SHARP to develop a method of doing just that. Dr. Abbott uses laboratory methods and optical microscopy to scan the cores and identify ash layers hidden within the ice and marine cores. 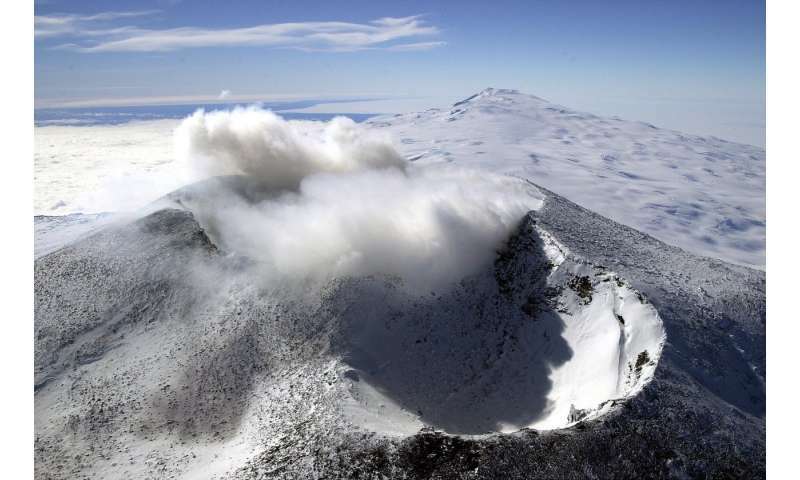 Each individual volcanic event leaves a unique chemical fingerprint on the material it expels, which means researchers can use the ash to correctly match up the ice cores and the sediment cores, giving scientists more accurate information about past climates, and consequently improving the predictive models. 'If we can explain how the climate has changed in the past, it gives us a better understanding of how it might be forced in the future,' said Dr. Abbott.